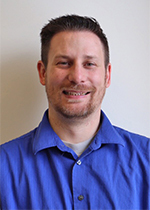 Jeremy Twitchell is an energy research analyst at the Pacific Northwest National Laboratory, where he leads the equitable regulatory environment area of the PNNL Energy Storage Program and assists in distribution system planning research. In those roles, he is responsible for reaching out to states to provide technical assistance in analyzing energy storage and other developing energy resources and incorporating them into utility planning and procurement activities. Prior to joining PNNL, Jeremy spent five years at the Washington Utilities and Transportation Commission, where he was the staff lead for the development of policies associated with the treatment of energy storage in utility resource planning and rulemaking. His work has supported integrated resource planning, which included development of a distribution planning rule. He participated in multiple utility advisory groups on energy efficiency and resource planning, provided expert testimony in the areas of rate design and resource acquisition, and oversaw renewable resource portfolio standard compliance. He also testified before the Washington State Legislature and prepared a report to the Legislature on best practices in distribution system planning. He has presented on the topics of energy storage, renewable resource portfolio standards, and renewable resource integration at regional, national, and international conferences.